Hello! 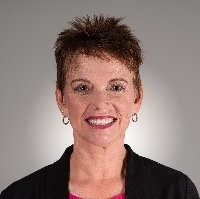 My name is Carolyn Jones and I have worked in the mental health field in Colorado for the past 27 years - both as a Licensed Professional Counselor (LPC) and a Registered Nurse (RN). I received my Bachelor's in Nursing in 1978 from the University of Nebraska and my Master's Degree in Counselor Education in 1994 from the University of Wyoming. I have had the opportunity to work with older adolescents and adults doing individual, couple and group counseling in a variety of different settings such as outpatient, inpatient and partial hospitalization programs. I utilize several different therapeutic , evidence-based approaches such as Cognitive Behavioral Therapy (CBT), Dialectic Behavioral Therapy (DBT), Acceptance Commitment Therapy (ACT) as well as psychodynamic approaches based on the needs of the individual. I have several areas of specialty including the treatment of eating disorders and body image concerns and am a Certified Eating Disorder Specialist (CEDS) as well as a Certified Eating Disorder Registered Nurse (CEDRN). My other specialties are depression, anxiety, relationship issues and identity work as it relates to motivation, self-esteem, self-confidence. I believe every individual is a unique being capable of living a fulfilling life. I believe that continuous growth of the mind/body/spirit brings healing and the capacity to live life in this manner. With a background in counseling, nursing and spirituality, I am able to offer you this holistic approach for ultimate growth and healing. I believe a nonjudgmental, respectful, accepting therapeutic relationship is essential in providing a safe climate for self-exploration and growth. My goal is to meet you where you are at each moment in time and empower you to meet your life values and gain the ability to find relief and live a fulfilling life. I am so glad that I was paired up with Carolyn. I have used BetterHelp in the past and have always been pleased, but Carolyn makes me feel like this is money well spent. She is very thoughtful, and asked me what I needed/wanted from counseling. She is giving me tools to help me succeed in my plan. She is always quick to respond to me and I love that she is willing to do phone calls with me on a weekly basis. Would you like to write a review for Carolyn Jones? We'd appreciate if you can spend a couple of minutes to write a short review for Carolyn Jones (LPC, RN, CEDS, CEDRN). This review would be shared with Carolyn Jones. It may also be posted in our website or in Carolyn Jones's profile but it would be anonymous and your identity would be kept completely confidential.